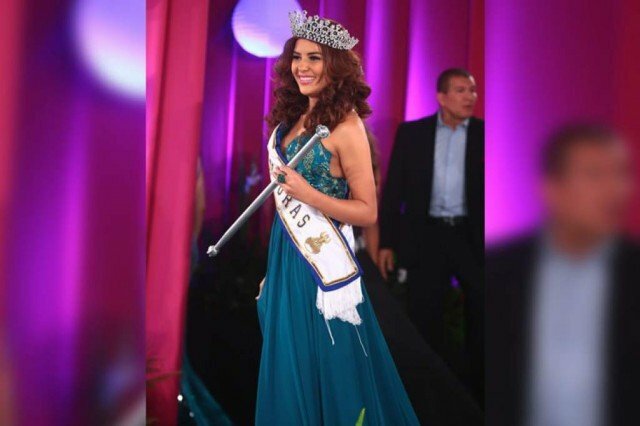 Miss Honduras Maria Jose Alvarado and her sister were found dead nearly a week after disappearing. Maria Jose Alvarado, 19, and her sister Sofia Trinidad, 23, vanished on November 13 after being seen leaving a party near the northern city of Santa Barbara. Miss Honduras had been due to compete in the upcoming Miss World contest in London. Two men have been arrested in connection with the murder. Plutarco Ruiz, said to be the boyfriend of Sofia Trinidad, was detained along with another man, Aris Maldonado. The two women’s bodies were found in Cablotales village, near the River Aguagua, National Bureau of Criminal Investigation chief Leandro Osorio said. Weapons and a car were seized, he added, and a “protected witness” has provided valuable information. Maria Jose Alvarado and Sofia Trinidad were last seen alive in a car without a license plate as they left a birthday party on November 13. According to Reuters news agency, the two men arrested are believed to be the last people to have seen the young women before they disappeared. “Both are being questioned as part of the investigation into the disappearance of [Maria Jose Alvarado] and her sister,” police spokesman Jose Coello said. According to a UN report, Honduras has the world’s highest homicide rate, with 90.4 people murdered per 100,000 of the population.